A diversion sign outside a city park raised eyebrows yesterday due to two unfortunate misspellings. 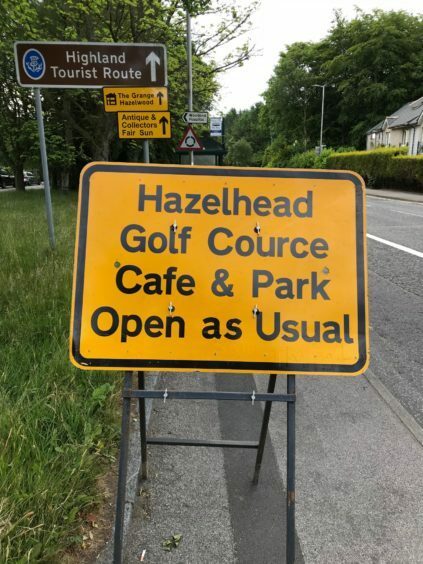 The notice informed motorists that Hazlehead Golf Course and cafe remained open throughout Cancer Research UK’s Pretty Muddy 5K Run. 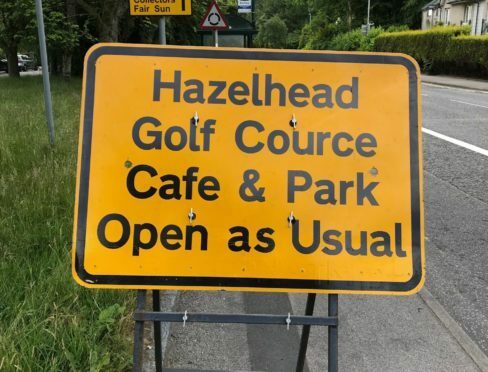 The sign, on Queen’s Road, misspelled both “Hazlehead” and “course”. Councillor Martin Greig, Hazlehead/Queen’s Cross/Countesswells ward, suggested the mistake was a blessing in disguise. He said: “The sign will have raised a smile amongst many. Strangely enough the wording might actually help to draw attention to the situation.